Ankara (AFP) - The presidents of Iran, Russia and Turkey will meet next week for their third tripartite summit seeking an end to the Syrian conflict, Turkish state television said Monday. President Recep Tayyip Erdogan will travel to Iran to meet his Russian and Iranian counterparts Vladimir Putin and Hassan Rouhani on September 7, state-run TRT Haber television said. Private NTV television added the summit would be held in the northern Iranian city of Tabriz. A Turkish presidential official contacted by AFP could not immediately confirm the reports. However, the presidency has invited Turkish journalists to cover a trip by Erdogan to Iran on September 7. Putin's spokesman Dmitry Peskov said the tripartite summit was being prepared but did not confirm the date or venue. "It could take place in Tehran. This option is being examined. We will make the appropriate announcement once all the nuances have been harmonised through diplomatic channels and when everything is ready," he added. 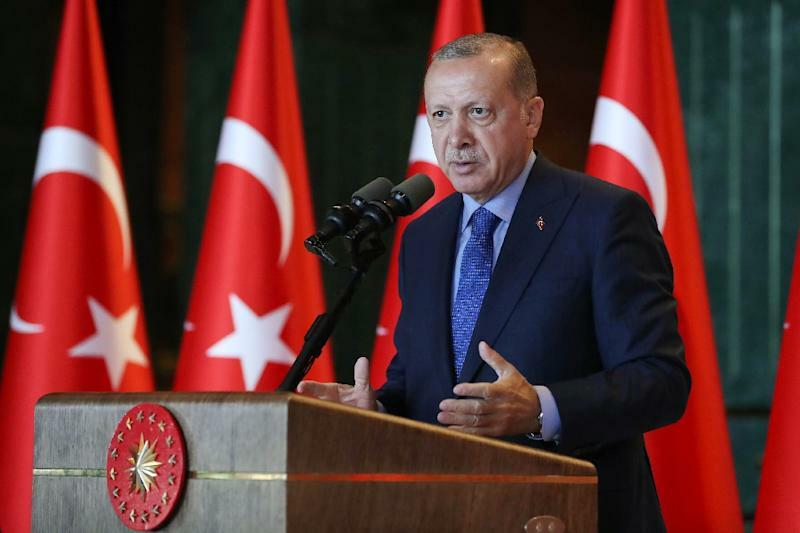 Erdogan had previously indicated that he planned to host a summit on Syria on September 7 in Istanbul with Putin and also French President Emmanuel Macron and German Chancellor Angela Merkel. But press reports over the last few weeks have suggested that such a meeting was increasingly unlikely and was set to be replaced by the latest three-way summit between Iran, Russia and Turkey. The three leaders have previously met in the Russian resort city of Sochi and the Turkish capital Ankara. Ankara, Moscow and Tehran are backing peace talks based in the Kazakh capital Astana which they insist are aimed at reinforcing, rather than undermining, a UN peace process in Geneva. Iran and Russia are the main allies of Syrian President Bashar al-Assad and their military interventions in Syria are widely seen as tipping the balance of the seven-year civil war in the regime's favour. A major item on the summit agenda is expected to be the rebel-held northwestern Syrian province of Idlib which Assad wants to recapture, to crown a string of military successes. But Turkey has said a military operation to take Idlib risks provoking a humanitarian "catastrophe", warning that 3.5 million people are crammed into the region.